Lori Daniel is a trusted wealth advisor with MacLean Financial Group. With over 18 years in insurance/financial industries, Lori has the experience to assist business owners and individual clients leverage their assets. Whether Lori is working with an established business owner with multiple complex assets or someone just starting to think about their financial future, her approach is the same. She builds rapport by taking the time to listen to her client’s needs and wants. During the conversation, she willingly shares her vast knowledge and experience to assist her clients in making sound and informed financial decisions that match their current priorities. Lori encourages clients to do some goal setting when looking at their financial future. She works with a diverse client group with varying degrees of knowledge about the importance of saving for their retirement. She educates them about placing enough money in their 401K to get the maximum match that their company offers and not leaving any free money behind. While she doesn’t have a crystal ball, she encourages her clients to save and plan for their futures knowing that plans can change. 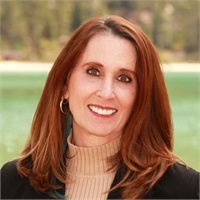 Lori has experience helping business owners with financial planning, tax shelters, retirement plans, enrollment meetings, 401K set-ups, life insurance, profit sharing plans, and defined benefit plans. She assists business owners in looking at their company and determining what steps they can take for financial independence now and in the future. Priority setting is key. During that initial consultation, she listens to what the client is looking for and helps determine what their immediate needs are. She recognizes that each client is different and has unique financial needs and risk tolerance. As an independent fee based wealth advisor, she is not tied to one suite of products. Instead, she is able to pick and choose the best options for her clients. She tailors her services to her client’s current needs. Lori has a vested interest in each client’s success and is happy to listen, educate, and advise in an effort to help clients achieve their financial goals.